After what can only be described as a somewhat stressful family holiday last week, I was hanging on in there for my trip to Fletcher’s Cottage Spa (www.archerfieldhouse.com/spa) on Saturday. I knew that it was just the tonic I needed. 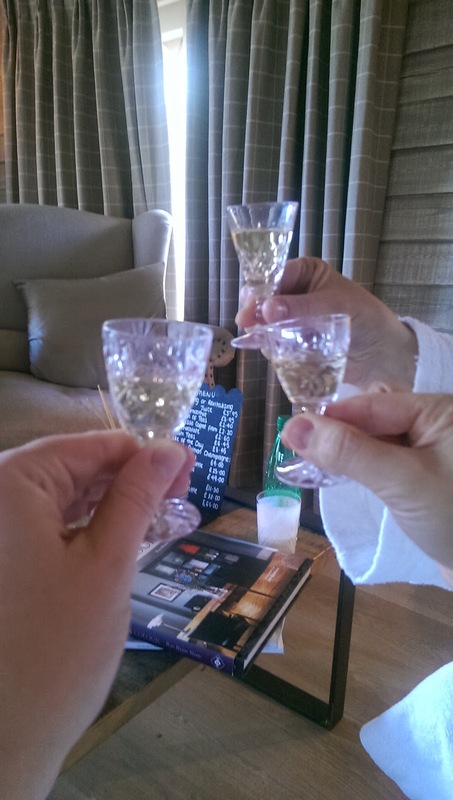 Not only was I getting to use my birthday gift voucher (can’t believe I waited so long) but it was also an excuse to have a girls day out in the company of two lovely buddies – to save their blushes I will call them Marketing Magnate (MM) and PR Supremo (PS). 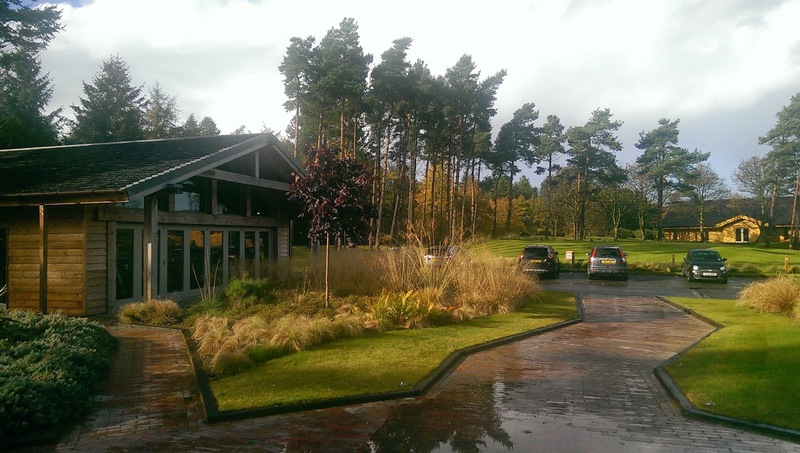 Marketing Magnate, has worked for a high end jewellery and luxury goods company and now is working her wonder at one of Scotland’s leading visitor attractions. She has enjoyed the bliss at Fletcher’s Cottage before and was as excited as I was to return. PR Supremo, who has worked with the likes of Orient Express, was a Fletcher’s Cottage virgin and had often listened to us harp on at the wonder of this place. To say she jumped at the chance to drive up from down south to join us is being polite. 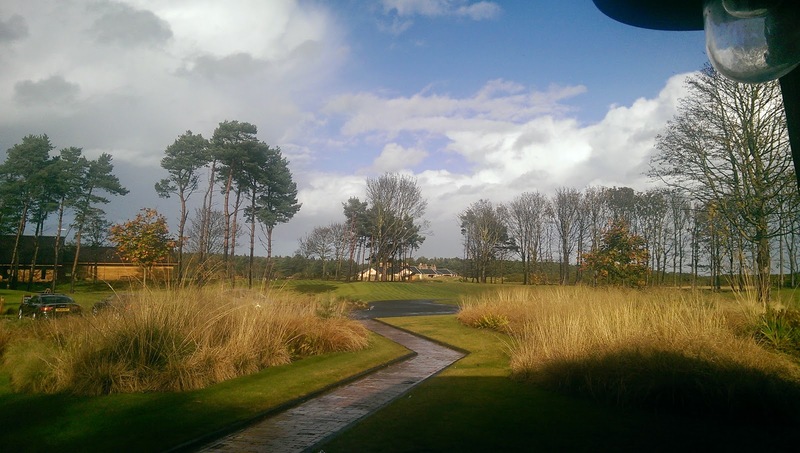 On the drive to Archerfield. 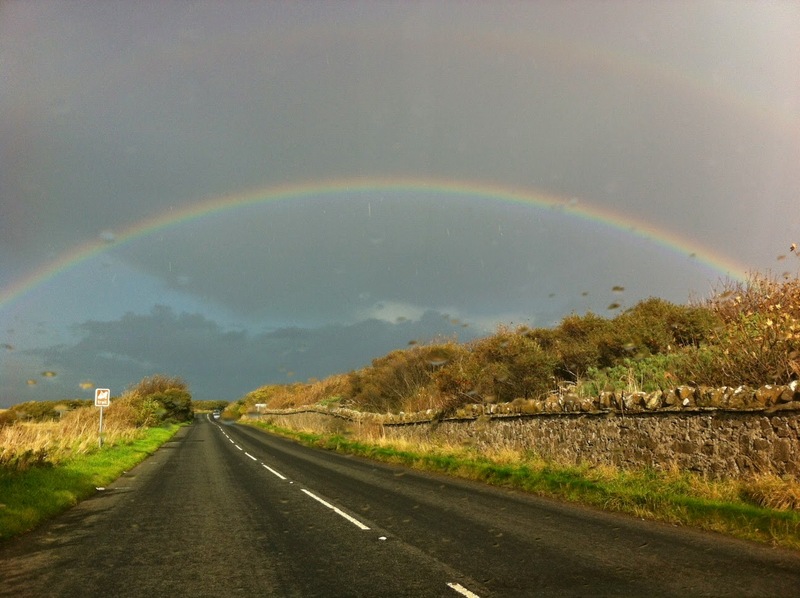 MM and I laughed as we saw a full rainbow hovering above the Archerfield Estate. It was very poetic and wow what a pot of gold at the end of that rainbow. As soon as we walked in through the door….well, we actually ran because there was a torrential downpour outside which started just as we drove up and finished as soon as we were inside, typical!…once inside we were engulfed by that wonderful feeling of being at home. 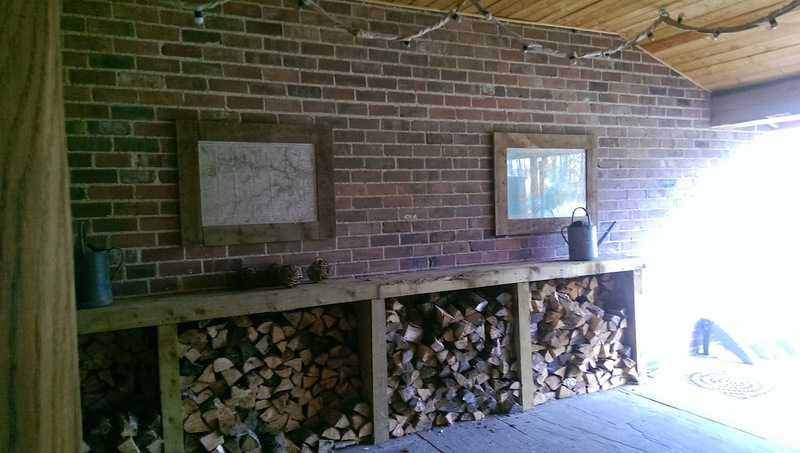 The smell that wafts through Fletcher’s Cottage is instantly refreshing and relaxing. We were met by Michelle the manager, who promptly gave us some fluffy slippers to change into. I love this policy, it is very symbolic of leaving the outside world at the door. Slippers on, we were brought our revitalising smoothie drink. I love this too, I would happily drink it all day. 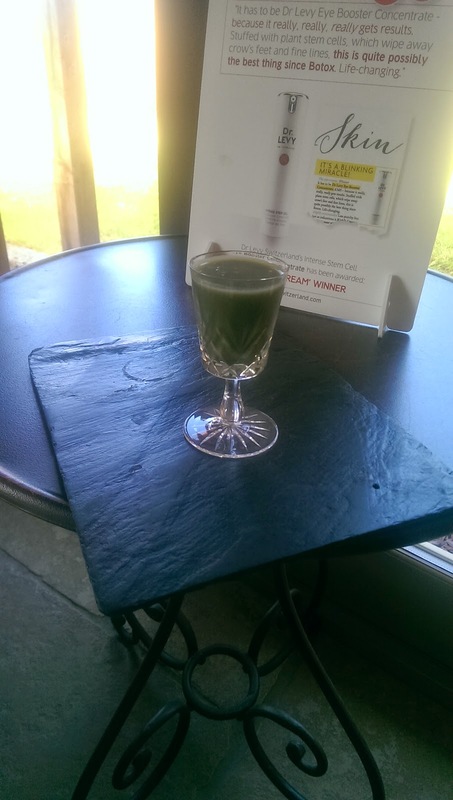 If I recall correctly it is a mixture of avocado, pineapple, spirulina and wheatgrass. Sounds not nice, but tastes so good. I am still in awe of how they manage to get the wheatgrass so smooth, I always fail at that. 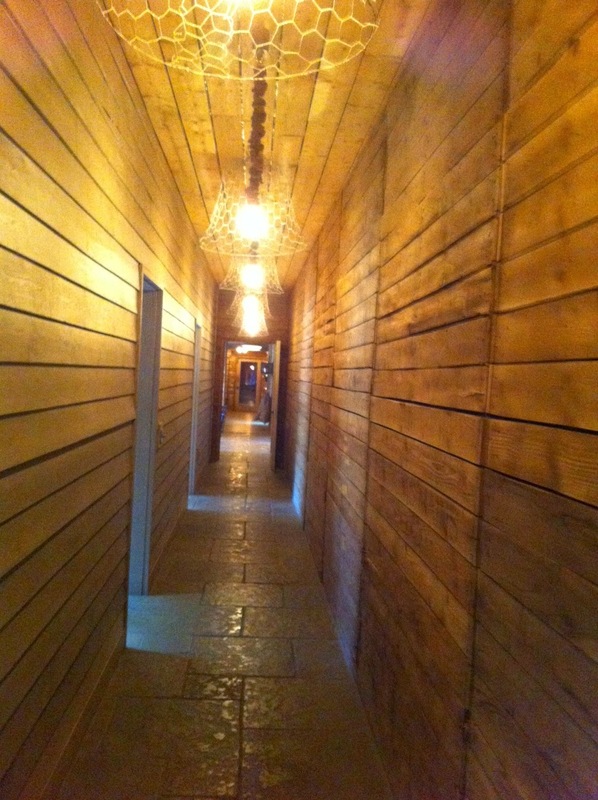 After a quick tour around the place, just to get our bearings again….as if we could forget…. we were quick to go to our changing rooms to ditch our clothes and jump into fluffy robes for the rest of the day. PS, instantly described Fletcher’s Cottage as being quite unlike anywhere she has been before. This place is stunning. 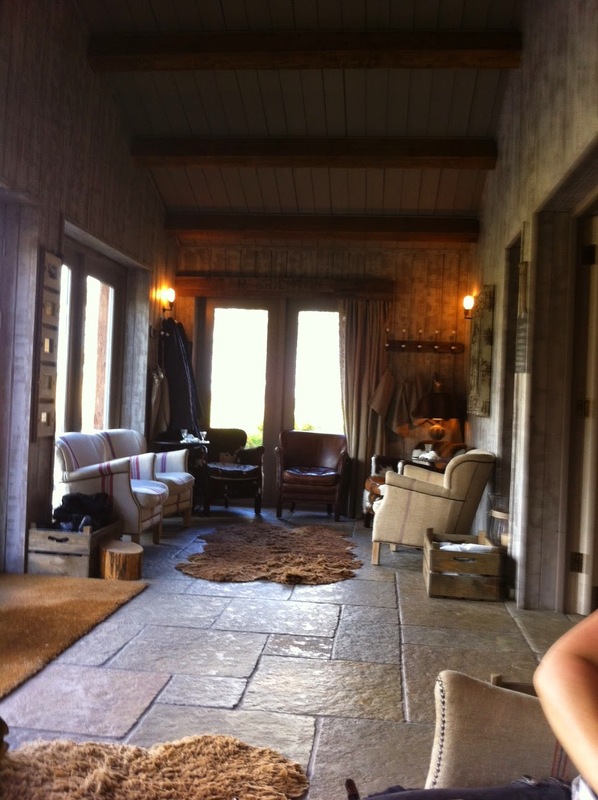 As we sat on the big comfy sofas in the relaxation room we had some serious Fletcher’s Cottage design jealousy. The tables, the lamps, the fire, the chairs and even the garden. It had turned into a beautiful day outside and it was great to have the doors opened to the stunning walled garden. 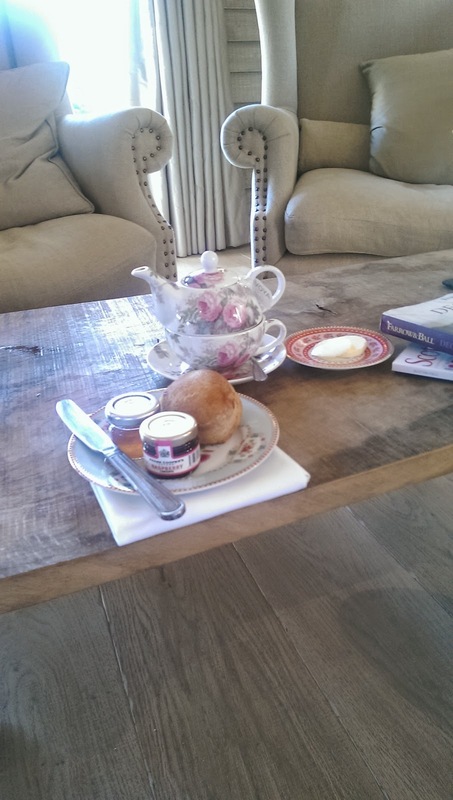 We chatted, we enjoyed some herbal tea, freshly made scones and smoothies before being offered a complimentary sherry. We felt it was rude not to at least try one. 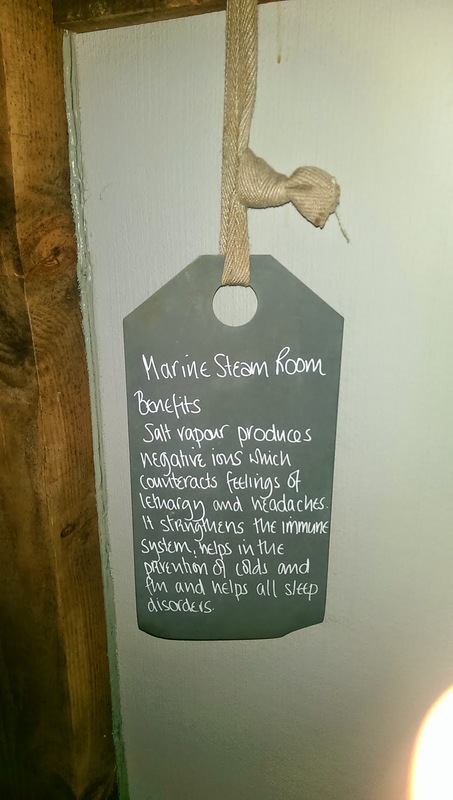 We had a arrived a couple of hours before our treatments to chill out, catch up and use one of my favourite things about Fletcher’s Cottage, the Thermal Area which includes the Marine Steam and Aroma Sauna. Upon entering the area you can swap your fluffy robes for some Kikoy, a traditional hand woven cotton garment from East Africa which can be worn as a sarong…. so much easier to use when in and out of thermal rooms. 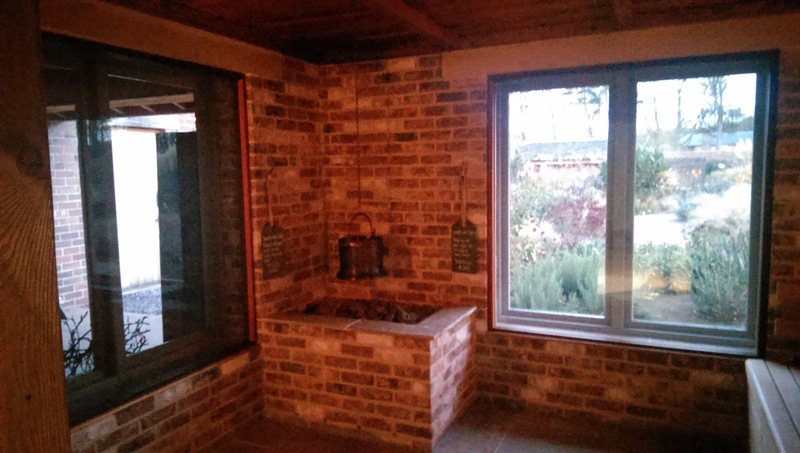 I have never been to the Spa at this time of year before and the garden, that the Aroma Sauna looks onto, looked amazing. Beautiful colouring. In fact, it is from this garden that the herbs used in the Sauna are handpicked. 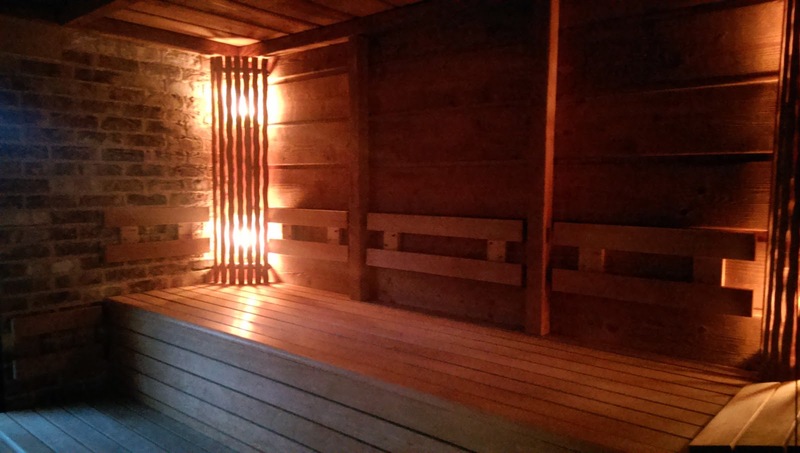 There is something really special about this sauna and I made a quick visit back to it after my treatment. After the marvelous hot Sauna I splashed my face, bravely, with some crushed ice and we headed to the Marine Steam room. You can definitely spend a bit longer in this thermal room, so we relaxed and chatted so more. The salt steam is fantastic for alleviating any sinus and respiratory problems as well giving anyone who is feeling a bit lethargic a little boost. We had a quick wonder through the product area where you can buy items to take home from Voya, Aromatherapy Associates, Spiezia Organics, Beatitude, Frazier and Dr Levy. It is a lovely area to sample something new. We moved back to the relaxation area where we were met by our therapists. Initially there was a little confusion with my treatment not matching my name and linked to someone else, but this was ironed out quietly, professionally and really quickly. 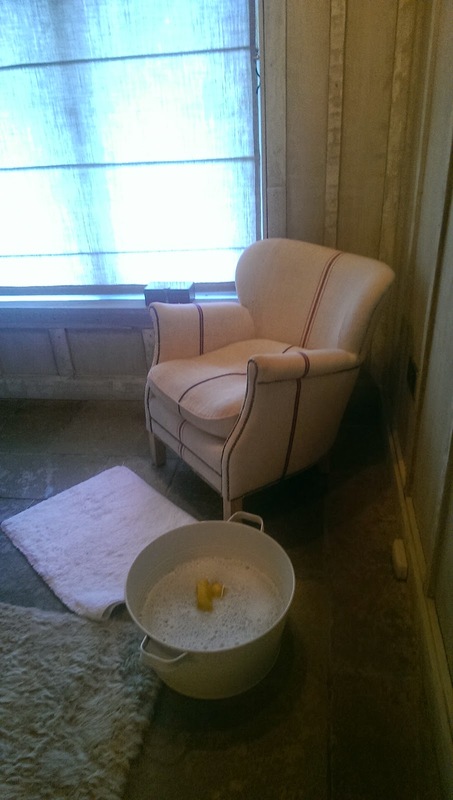 My therapist, Ellen, sat me down in my treatment room, offered me a foot bath (including rubber duck). We talked through my form that I had filled in at reception and then discussed my treatment. 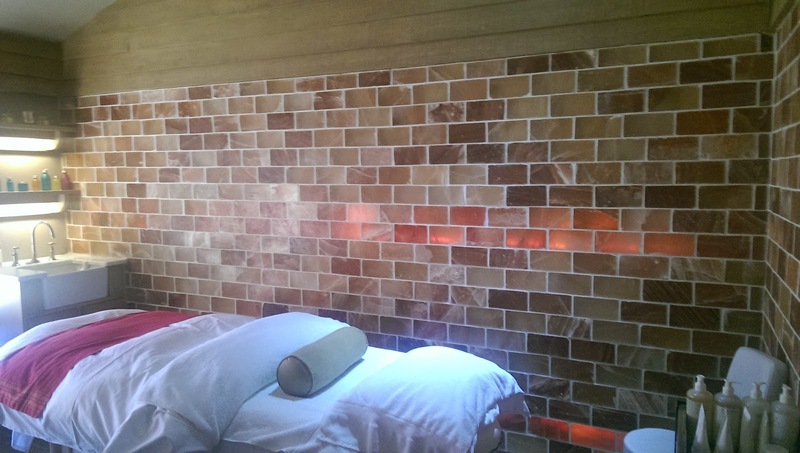 I had struggled to decide between a hot stone massage and the Spiezia Relax & Rejuvenate Uplifting Facial. I had called up the Spa reception a few days before to get some advise. They were a great help, I decided on the facial (great minds) and I was very happy with my choice. It turned out that PS had gone for the same facial and MM had opted for the Supreme Happiness with Hot Stone Therapy by Beatitude. Ellen was fantastic. We absolutely clicked. She was friendly, interesting, happy to talk and also happy to let me zone out. The facial was sublime. 75 minutes passed in what seemed like 20 minutes. Described as being like an acupuncture face lift, my treatment used massage techniques from India and Japan which naturally lift, detoxify and improve your complexion. 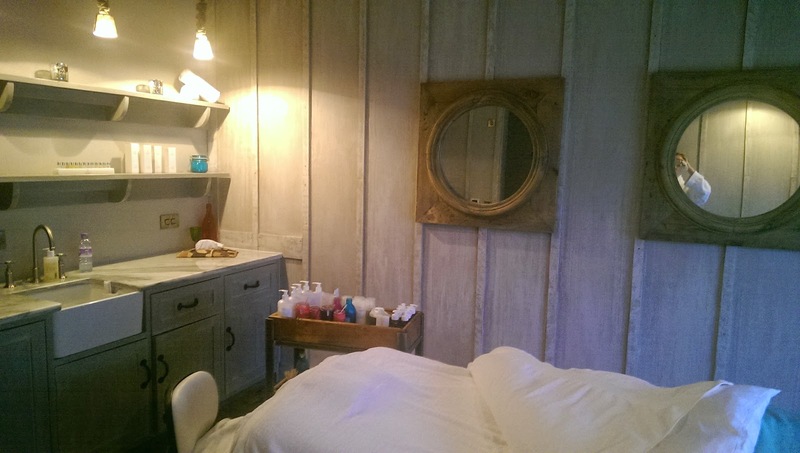 It was very soothing and I loved that the massage part of the facial was done at the end of the treatment. So often it is done halfway through. 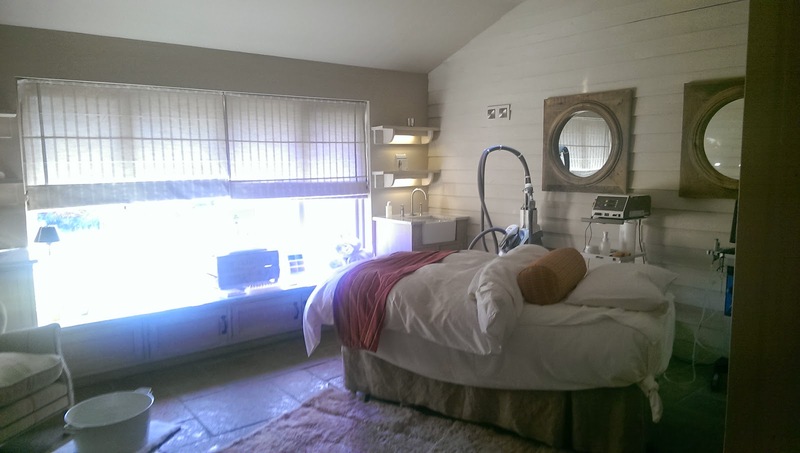 My skin was cleansed, exfoliated, masked, hydrated and delicately massage. Best facial of its kind. As my bed was lifted to let me come to before leaving the room, I felt great. Really refreshed. I met the ladies in the relaxation room, both of whom were beaming. The Hot Stone Therapy had gone down as treat and MM was even more delighted to be told by her therapist that she should really try to come back for another one in 5-6 weeks. For the record MM, I will totally support you on this and keep you company. PS commented on my dewy complexion and I have to say I agreed. My skin looked awesome. All I need now is one a week to help sort out my ageing skin! Each of our therapists had put forward some recommendations on a card and we were left in peace to enjoy our newly brought fruit and carrot and ginger energising drink. After a quick trip to the sauna again for my fix, we returned to our changing rooms and made our way to the product area. I tried an amazing body oil by Beatitude called Joy. My skin adored it. I also was particularly drawn to the Aromatherapy Associates Support Breathe Essence which included the soothing yet mind clearing properties of eucalyptus, peppermint and tea tree. I also tried the Hydrating Rose Mask by Aromatherapy Associates. All of the above will be going on my Christmas list this year, along with some …. 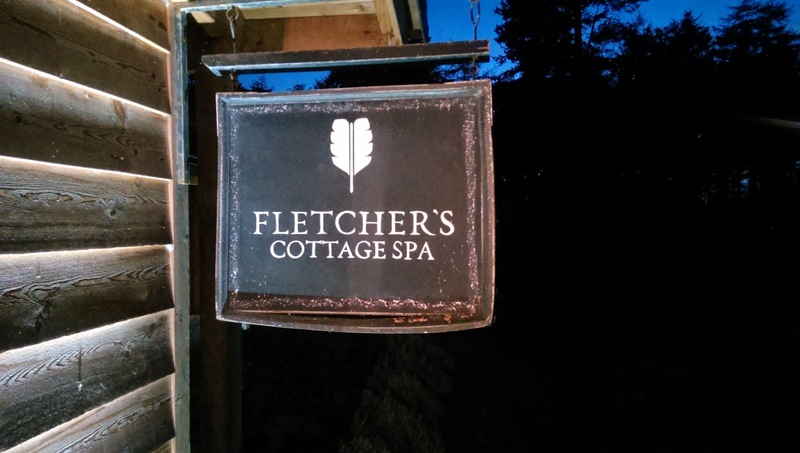 (I think) … well deserved gift vouchers for Fletcher’s Cottage from Mr Fifi Friendly. The next day as I attended a birthday party with my son, I could not help but feel slightly spaced out. This was confirmed by one of my best friends who met me there. She described me as looking “fab” and my no make up skin was “glowing”…. but, I did have a slighlty “zombied” look to me……100% the after effects of good relaxation, I think. I took it as a compliment anyway. Thank You Fletcher’s Cottage, just the tonic I needed. I plan to come here at the end of each family holiday! So peaceful and so invigorating. 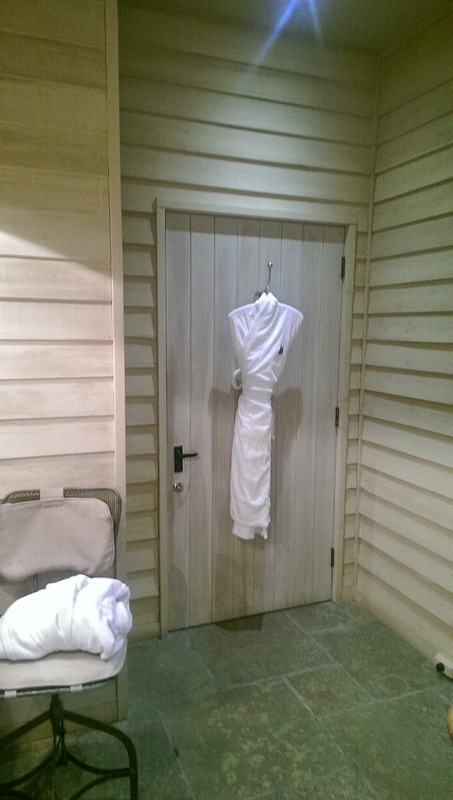 Might even try to venture out of my robe and use the gym next time….who am I kidding. Previous Post Get your Lippy on Girl…..
Quite simply, you must! Best gift and you are bound to get sister of the year award. Enjoy.